Oliver is COO of BANKFUL, a next-generation cryptocurrency exchange going live in October. He founded his first IT Company in 1999, which was later sold to Gamigo AG in 2002. Following that, he worked as an independent IT service provider, managing numerous projects and worked for 8 years at Citibank as Teamleader of the external Server & Production Support Team. As a CEO at Richmoore & Anderson Group, he took on other market sectors, such as app development, business consultation, and Cyber Security to expand the Group with Malta as the headquarters. This gave him the opportunity to build and expand strong business relationships with fellow entrepreneurs and business owners in Malta and overseas, with extensive experience working with companies that rely on efficient and reliable technology such as banks and gaming companies. 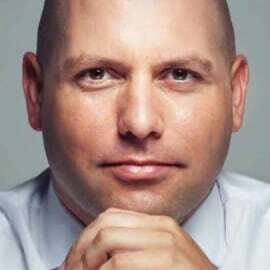 In 2017 he joined IDACB as Chairman of the Malta Chapter and since 2018 he is also Chairman of the Government Blockchain Association Malta.